I can not get enough Pumpkin. Even in a season of Pumpkin Spice everything I never tired of it. I also love a good face mask. So why not combine the two? 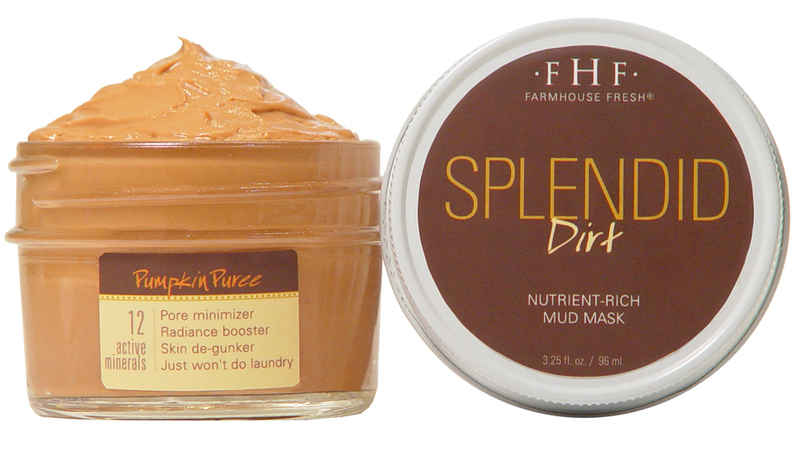 FarmHouse Fresh has done just that with the pumpkin-fortified Splendid Dirt Nutrient-Rich Mud Mask. It has real pumpkin puree and smells amazing enough to eat (but don't even!). Perfect for women suffering from acne, redness, blotchiness, or excessive oil production in the skin, this mask helps deep cleanse and de-clog facial pores while boosting the skin's overall radiance. 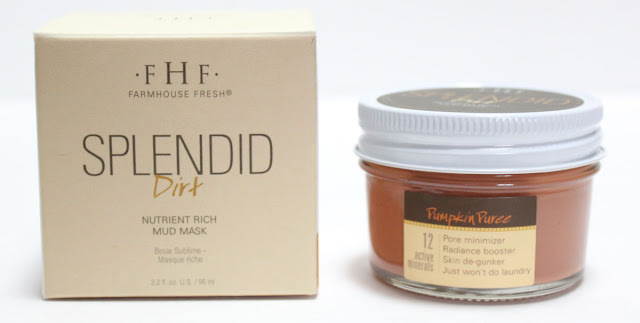 This mask is a delectable treat for your skin! Get dirty! Red, blotchy, and oily skin- you've met your mask. 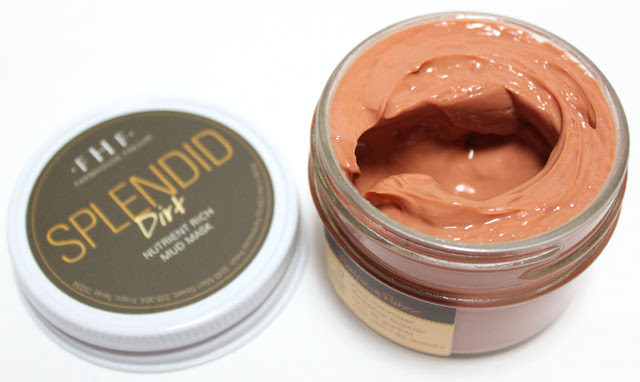 Splendid Dirt is a natural, nutrient-rich pot of Illite and Bentonite clays, fresh enzyme-full pumpkin puree, and active yogurt cultures that instantly boosts overall radiance by deep cleansing pores, temporarily shrinking their look, and improving the look of broken capillaries and uneven skin tones. You'll feel Splendid Dirt working- a mild tingling sensation begins as oxygenation and circulation increases. The feeling is temporary, and as the mask dries, skin is actually left calmed and soothed, decreasing everyday blotchiness. It is recommended for all skin types, except those with sensitive skin, at least once per week. 99.6% natural, and like all FarmHouse Fresh products, it is Paraben and Sulfate Free. This mask is as nice as it smells! The orange face is a lot of fun too. I admit I initially only wanted it for the pumpkin factor. Turns out it is not just another dessert named novelty but one that actually works! 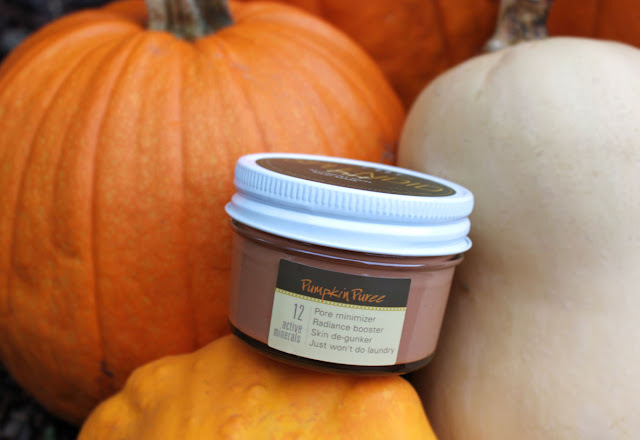 Splendid Dirt is like a whipped pumpkin souffle with the scent of fresh out of the oven pumpkin pie. When applied it has a mildly warm tingly sensation as the blend increases blood circulation and oxygenation. Leave it on for 15 minutes to detoxify and remove impurities. Follow up with your favorite moisturizer to seal the skin. My skin feels so soft afterwards and both redness and pores were minimized. I would recommend it to any one with combination skin and those wanting to reduce and tighten their pores. In the Fall/Winter months I find traditional mud masks to be overly drying. Splendid Dirt cleanses the skin with out drying it out rendering a radiant poreless look. How quirky is the packaging? ..Just won't do laundry. This mask would make such a fun hostess gift for Fall/Thankgiving! Next on my FHF wish list is the The Sundae Best Mask that is made with chocolate. YES please. Other masks on the menu are the Guac Star, Pajama Paste, and Pudding Apeel. They also have many more scrumptious for your skin products; everything from Body Lotions, Scrubs, Hand Creams, to some really cool looking buffer sponges called facial buffing biscuits. FarmHouseFresh will definitely be making my gift giving lists and my own wish list this year! FarmHouse Fresh professional bath, body, and facial care products are repeatedly voted by spa professionals as one of the top all natural body care lines in the U.S. Be sure to check out if your local spa carries them. 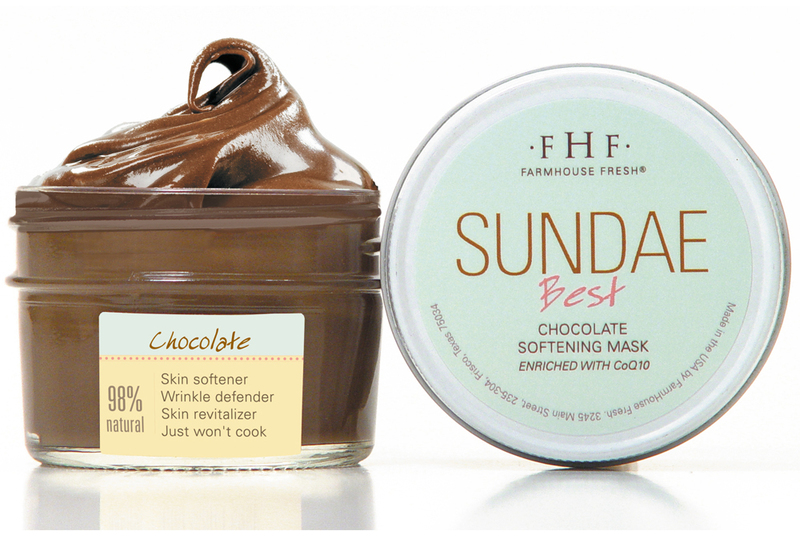 FHF can be purchased at top destination spas, resorts, and finer retail locations including Four Seasons, Ritz-Carlton, Waldorf Astoria, and Hyatt Regency locations among others. The Four Seasons in Downtown Seattle is my destination. A luxurious pampering Spa treatment with FHF after the Thanksgiving/Black Friday hustle sounds amazing doesn't it?